She is one of the world’s most high-profile social activists and a ferocious critic of 21st-century capitalism. He is one of the pope’s most senior aides and a professor of climate change economics. But this week the secular radical will join forces with the Catholic cardinal in the latest move by Pope Francis to shift the debate on global warming. 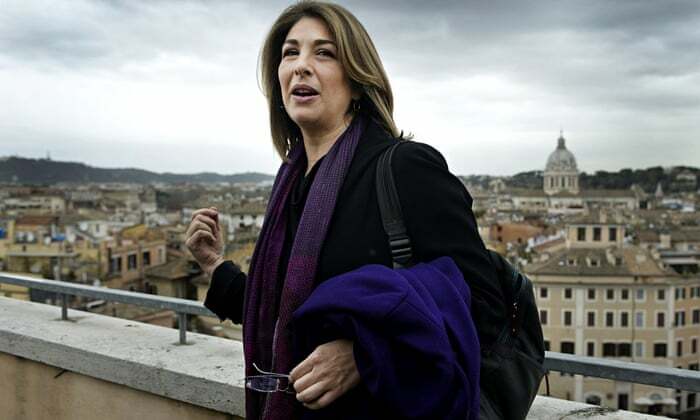 Naomi Klein and Cardinal Peter Turkson are to lead a high-level conference on the environment, bringing together churchmen, scientists and activists to debate climate change action. Klein, who campaigns for an overhaul of the global financial system to tackle climate change, told the Observer she was surprised but delighted to receive the invitation from Turkson’s office. “The fact that they invited me indicates they’re not backing down from the fight. A lot of people have patted the pope on the head, but said he’s wrong on the economics. I think he’s right on the economics,” she said, referring to Pope Francis’s recent publication of an encyclical on the environment. Release of the document earlier this month thrust the pontiff to the centre of the global debate on climate change, as he berated politicians for creating a system that serves wealthy countries at the expense of the poorest. Activists and religious leaders will gather in Rome on Sunday, marching through the Eternal City before the Vatican welcomes campaigners to the conference, which will focus on the UN’s impending climate change summit. Protesters have chosen the French embassy as their starting point – a Renaissance palace famed for its beautiful frescoes, but more significantly a symbol of the United Nations climate change conference, which will be hosted by Paris this December. Nearly 500 years since Galileo was found guilty of heresy, the Holy See is leading the rallying cry for the world to wake up and listen to scientists on climate change. Multi-faith leaders will walk alongside scientists and campaigners, hailing from organisations including Greenpeace and Oxfam Italy, marching to the Vatican to celebrate the pope’s tough stance on environmental issues. The imminent arrival of Klein within the Vatican walls has raised some eyebrows, but the involvement of lay people in church discussions is not without precedent. Ban Ki-moon, the UN secretary-general, delivered the keynote address at a Vatican summit in April on climate change and poverty. Anticipating the encyclical, he said he was depending on the pope’s “moral voice and moral leadership” to speed up action. When it came to the presentation of the document itself, the pontiff picked a five-strong panel, including a Rome school teacher and a leading scientist. Hans Joachim Schellnhuber, who heads the Potsdam Institute for Climate Impact Research, used the time to give churchmen a lesson in climate science. The pope has upset some conservatives for drawing people from outside the clergy into the heart of the debate, while critics have also argued the Catholic church should not be involved in an issue that should be left to presidents and policy-makers. But Klein said the pope’s position as a “moral voice” in the world – and leader of 1.2 billion Catholics – gives him the unique ability to unite campaigners fighting for a common goal. “The holistic view of the encyclical should be a catalyst to bring together the twin economic and climate crises, instead of treating them separately,” she said. Much of the pope’s discourse focuses on the need to give developing countries a greater voice in climate change negotiations, a view that sits uncomfortably among some in developed nations. “There are a lot of people who are having a lot of trouble in realising there is a voice with such global authority from the global south. That’s why we’re getting this condescending view, of ‘leave the economics to us’,” said Klein. While the upcoming conference is centred on the pope’s encyclical, delegates will also be looking ahead to decisive international meetings this year. Before the Paris talks comes a UN summit, where states are due to commit to sustainable development goals, which will inevitably affect the environment. The pope will fly into New York on the first day of the meeting and address the UN general assembly, reinforcing his message and emboldening countries worst affected by climate change. Excellent. So glad that these two will be working together. THey are both informed and able to infleuence the world population. I will be listening closely to their decisions. Thank you.